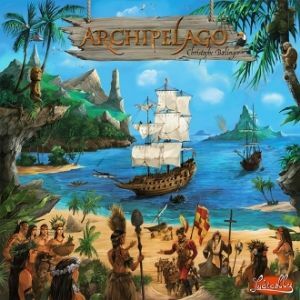 In Archipelago, players are renaissance European powers competing in the exploration of a Caribbean archipelago. They will explore territories, harvest resources, use those resources in markets both internal (for their use and that of the natives) and foreign (to sell it in Europe), build markets, harbours, cities and temples, and negotiate among themselves (and maybe betray each other) – all this to complete their secret objectives. They will also need to guess the secret objective of the other players to be able to benefit from them.